ScopeMeter Series II is a battery powered combonation scope and meter designed for measurments on-the-go. 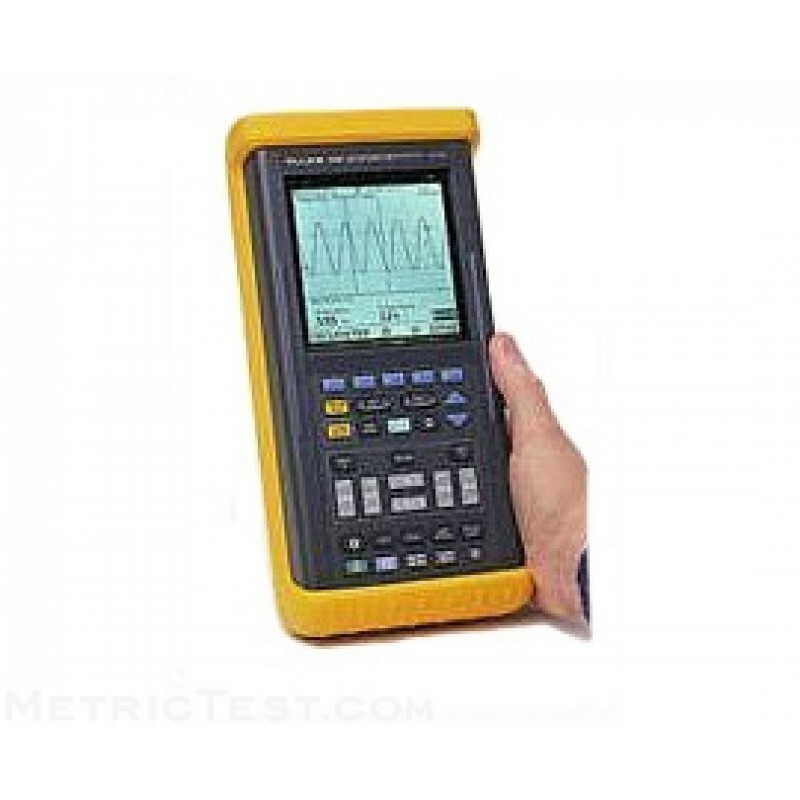 Just push the MEASURE MENU button, select one of 30 measurments, and ScopeMeter Series II Automaticly configures itself to take the desired reading. With ScopeMeter Series II, good waveforms are automatic. While probing from test point to test point, the CONTINUOUS AUTOSET feature instantly adjusts the timebase and amplitude. Manual controls are still there, but Series II is so fast and easy, why use anything else! Designed with a sealed, ruggedized case, the ScopeMeter Series II performs reliably, even in wet, dusty, or dirty enviroments. And the backlit screen makes for easy readings in brights light and no light situations. Whether it’s an overheating motor, spikeson a circuit, or dimming, flickering lights, the ScopeMeter Series II is ideal for uncovering the source of power quality problems in complex electrical circuits. Series II gives the best accuracy and versatility available in “on-the-go,” battery, powered instruments, and measures automatically. Print Directly from ScopeMeter Series II, or download to a PC for further analysis. Continuous Autoset Hands-free signal probing. Continuously follows input sig-nals from 15 Hz-50 MHz (100 MHz In the Model 105) and automatically selects theproper time base, input range and trigger level. MIN MAX Envelope Mode Record the waveform excursions with a gray scale envelope on both inputs.